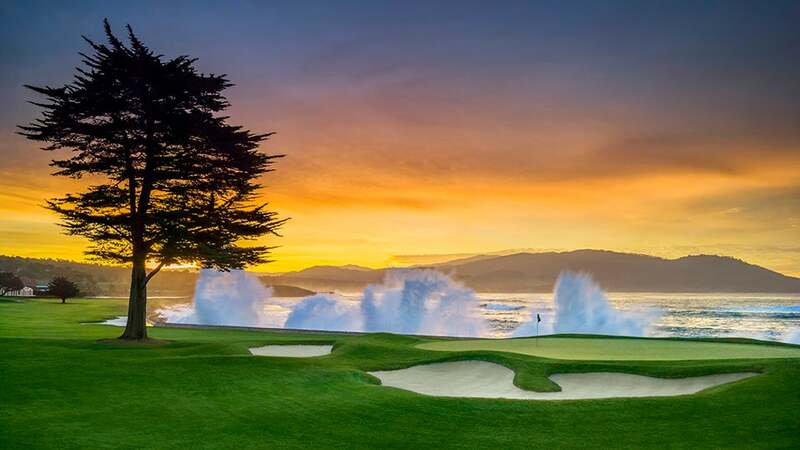 With the AT&T Pebble Beach Pro-Am taking place this week on the PGA Tour, we thought we would take a look at some of the most famous and equally stunning golf holes at one of the world's best loved golf courses. The fact that the course is hosting the U.S. Open for the sixth time this year comes as great news for us all, as we get the chance to watch the world's best golfers scrap for a major championship while taking in some of the greatest views of any golfing location on Earth. Undoubtedly one of the most iconic par-3 holes in all of golf, the 7th at Pebble Beach looks almost close enough for you to throw the ball to the target. Playing as the shortest hole on the PGA Tour, depending on the prevailing wind, this can still be far from an easy task with as much as a 5-iron required on particularly ferocious days. 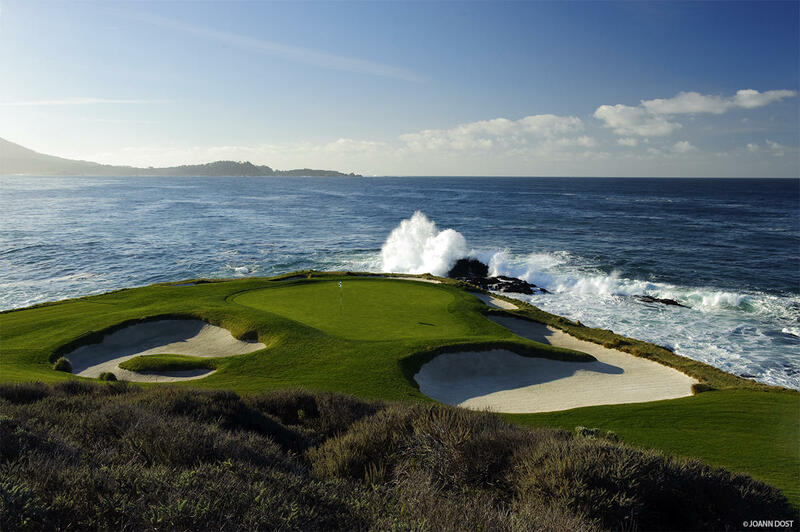 The hole is perched high on a cliff as the waves of the Pacific Ocean lap at the shore beneath and the tee shot is to a heavily-guarded green set well below the golfer's feet. 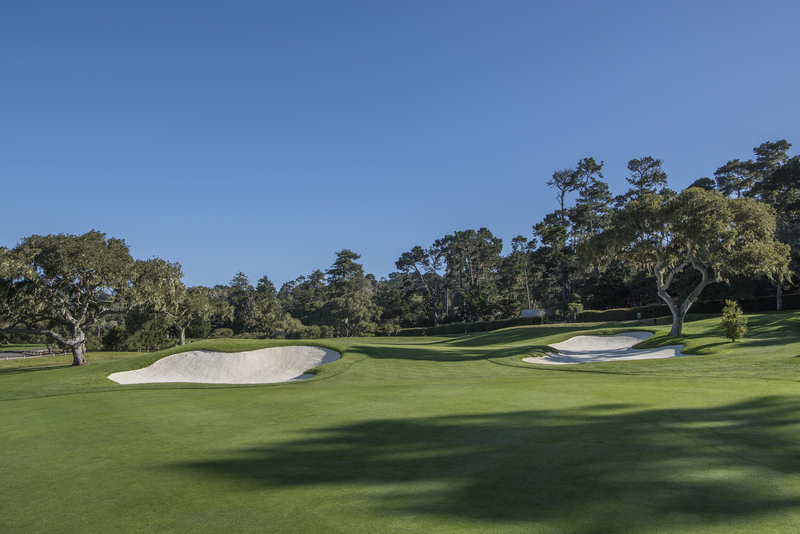 As with its neighbour, the 7th, hole 8 at Pebble Beach is one of the most instantly recognisable in world golf. Approaching the tee, it's very easy to let the mind wander and get caught up in a second shot once described by Jack Nicklaus as his favourite in the game. The tee shot is hardly a walk in the park either though, with the golfer hitting blind while aiming to find the best position for a nerve-jangling approach shot over Stillwater Cove towards a well-protected green and fairways that tilt towards the sea. The 18th hole is possibly the best closing hole in the game. The medium-length par-5 has the Pacific Ocean to the golfer's left-hand side and a 100 yd+ long bunker which sits ready to snare any errant shots up towards the green. The hole was originally a pretty unspectacular par 4 up until 1922 when a course designer named William Herbert Fowler added close to 200 yards. It's clear to see that it's perfect for final day drama as a tournament comes to an almighty crescendo. The 17th is another of the best holes at Pebble Beach and it has seen its fair share of historic golfing moments. The great Jack Nicklaus won the 1972 U.S. Open here, a tournament that is most remembered for his stunning 1-iron which hit the flag stick and came to rest just a few inches from the cup. A decade later, Tom Watson captured his solitary U.S. Open victory and created his own memorable moment along the way on 17 - majestically chipping in for a welcome birdie to the delight of the watching masses. 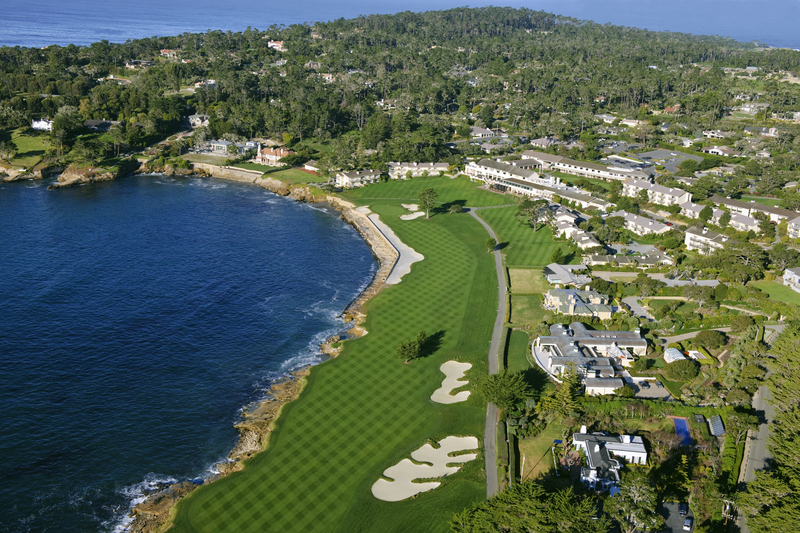 It's an extremely tricky hole and, in fact, the last time Pebble Beach played as the host venue for the US Open (2010) it was the toughest all week. The hour-glass-shaped green is a tiny target when viewed from the tee and is surrounded by challenging sand traps. Another challenging par-5 hole, the 14th is reachable (by the pros at least) with two solidly hit shots. With that said, the pragmatic approach may be to lay-up around the pine tree about 100 yards out to help with accuracy to a rather perilous green with run-off areas and a nasty bunker to be avoided. When we remind you that Phil Mickelson once carded an 11 here... it's easy to see how this hole can certainly derail any golfer's hopes of posting a good score.